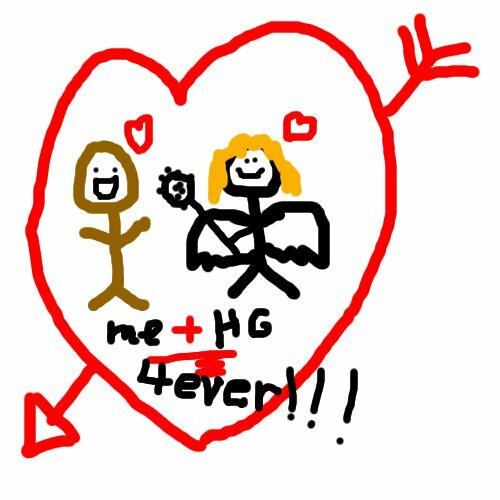 Okay, so I lied about Hawkgirl being the last comic character. 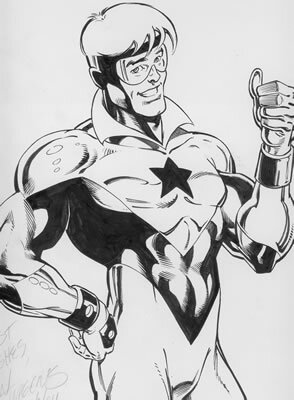 I think Booster Gold might be it, but I’m sure there will be surprises ahead when we find out more AndrewApproved characters from comicdom. Booster Gold is considered to be dead in current D.C. continuum. “I sat in a corner of my room for days with the Skeets bowl on my head,” Andrew sobs. When Hawkgirl was kicked out of the Justice League in an animated series episode, Andrew was devastated. “I thought she was going to be gone forever.” In a later season, she returned. “When she came back in the next season, she wasn’t wearing her mask and I thought she was absolutely spectacular!” giggled Andrew. 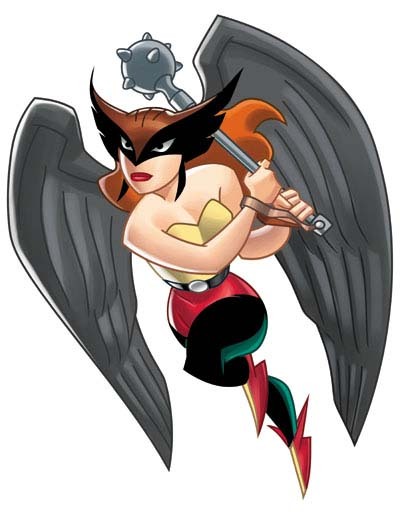 “I think they underplayed Hotgi… Hawkgirl’s powers in the cartoon because she’s obviously much more powerful than the rest of the Justice League,” he comments. 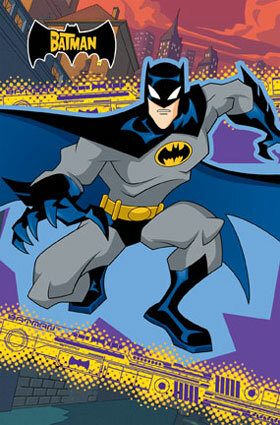 The Batman is in its fourth season on the WB.